On January 15 Gerd Baumann died at the age of 60. Although his death was not unexpected – in his own style he informed his colleagues – it was still a shock. Gerd was born in 1953 in Aachen and began his academic training at the University of Cologne, where he studied Musicology, Linguistics and Ethnology. After his cand. phil. In 1975 he moved to The Queen’s University in Belfast to study Social Anthropology because of its strong ethnomusicology department. After finishing his BA Honours he went on an eighteen month’s period of field research in the Nuba Mountains of Sudan, which resulted in 1980 in his PhD Thesis: Miri Society, Culture, and Music: An Ethnography with Special Reference to Social Change and Affective Culture. 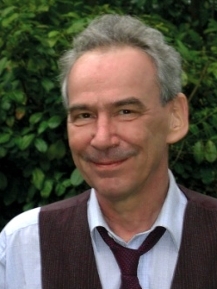 Between 1980 and 1986 Gerd worked at Oxford University (St Anthony’s College and Wolfson College) and taught Ethnomusicology at the University of London. In 1986 he joined the newly founded Department of Human Sciences at Brunel University. During his stay at Brunel he combined teaching with 5 years of intensive fieldwork in Southall among the South Asian and Caribbean migrants. In 1996 this resulted in Contesting Culture. Discourses of Identity in Multi-Ethnic London, an innovative and highly acclaimed study on the ways in which people affirm, rethink and negotiate identity, culture and community. In 1993 Gerd joined the Research Group Religion and Society at the department of Sociology and Anthropology of the UvA where he would stay for twenty years. Although he was quite critical about the bureaucratic organization of the university he felt completely at home in the department and became a central figure in research and in teaching. As a researcher he further developed his ideas on multi-cultural societies and identity(f.i. The Multicultural Riddle ;Grammars of Identity/Alterity [2004, edited with Andre Gingrich], but published also articles on religion, ritual, politics, fieldwork and, more recently, together with his dear friend Marie Gillespie, on the BBC World Service. In total he wrote and (co-)edited more than 20 books and published more than 100 articles, making him an internationally well known and highly respected scholar. His international reputation became evident when in 1997 he was elected member of the Executive Committee of the European Association of Social Anthropologists, on which he served for four years, the last two years as chairman. In that capacity he surprised and impressed the 800 members attending the closing session of the bi-annual conference in the concert hall of Cracow by ending his speech with playing Chopin on the piano that happened to be on stage, bringing the two great loves of his life – anthropology and music – together. Gerd loved teaching and loved to interact with students who in return loved him for his original and stimulating approach to lectures and seminars. His sense of humor, enthusiasm, vast knowledge and the fact that he took them seriously, made him ‘popular’ (a qualification he hated, but nevertheless it was true) with all students, first year students as well as PhD’s. Gerd taught several courses in the twenty years in Amsterdam but two of them were special to him: The Multi-Cultural Riddle and The Methodological Clinic for PhD’s. He referred to them as ‘my babies’ and was really sad when he had to drop the Multi-Cultural Riddle a few years ago. Gerd’s ashes were buried in the family grave in Germany during a private ceremony on Monday February 3. At the end of that day students, friends, colleagues and Gerd’s younger brother and his wife came together in one of his favorite hang-outs to commemorate him and share stories about his life. These stories were testimonies to the fact that with Gerd we lose a very special, humane, obstinate and dear colleague and friend. When Gerhardt joined our small team of social anthropologists at Brunel University in 1986 he immediately set himself up nearby in Southall, which had become a centre of South Asian immigration, and began a long-term field study. His teaching at Brunel merged with his fieldwork. Gerhardt drew students into doing field projects in Southall, notably Marie Gillespie, who became a close associate and dear friend. As he became familiar with this diverse segment of West London he began to develop a critical account of ‘multiculturalism’ in his lectures and seminars. He juggled the absorbing fieldwork with enthusiastic teaching and turned out to be an unenthusiastic but very effective administrator, his anarchist sympathies somehow combining with bureaucratic nous. When his Southall fieldwork was completed he was ready to move on, choosing a post at the University of Amsterdam in preference to a chair in a German university (too hierarchical). We missed him terribly at Brunel, but were cheered by the rapid publication of his monograph on Southall (Contesting Cultue: Discourses of Identity in Multi-ethnic London) which appeared in 1996. Then, like anthropologists and sociologists all over the globe, we were extremely impressed by the theoretical development of his insights in The Multicultural Riddle in 1999, which quickly became widely influential. I got to know Gerd Bauman when he was the President of EASA. He joined the EASA Executive Committee in 1997 and I in 1999 as secretary. We met at different intervals and generally talked about the ongoing business of the executive. It soon turned out that we could converse about many other things; this was one of his great assets. He was wonderfully versatile. Germany, music – he loved classic, I baroque - and of course we agreed that 1953 was a really special year of the 20th century. I remember vividly the reception hosted by the outgoing chair Marilyn Strathern. A grand and exquisite dinner hosted by Strathern, at the time also Mistress of Girtin College, she handed over the presidency to Gerd who was very modest about it and – I think – taken aback by the honour. We were sipping sherry after the dinner but he could not wait to start a cigarette. I noticed but perhaps it was only my imagination that his hand was shaking a bit. Maybe it was from the excitement of the moment or perhaps only his bodily reaction to his smoking habit. We became friends and I soon learned that this was not difficult with him, he could easily get close to peoples. This too was part of his cordial personality traits. He was witty and very open about his ideas. I loved his sense of firmness and how he could take no for an answer when he knew that something could be rectified and amended. Later, as we were sifting through the incoming proposals and abstracts for the upcoming EASA conference, Gerd established a very democratic idea: no proposal should be rejected. He was extremely adamant that everyone should be given a possibility to come to our meeting. When somebody complained that some of the proposals are a bit confusing and way too long he dismissed it as nonsense. Me, Hastings Donnan and Eduardo Archetti (sadly he is the second person now who passed away from that great team), were given the task of shortening these abstracts. Gerd gave the instruction: ‘well, just go ahead and do it. Hurry up’. And like obedient children, we listened to his words. At our meeting in Cambridge, he gave me a copy of his recently published The multicultural riddle. In it he wrote: “To Laszlo with all good wishes”. He knew that I and the new executive committee badly needed his encouragement. Our association was going through a very difficult period and solving all the bureaucratic hurdles took quite a few years (actually only settled when Jon Mitchell took the chair from Gerd). What he wrote on the last page in his above mentioned book, that “there are plenty of things we can do”, unfortunately is no more. The chapter is closed forever. I will cherish the memory of him. We would like to take this opportunity to invite our members to contriute comments to or memories of Gerd Baumann. Please email Noel.Salazar(AT)soc.kuleuven.be with your contributions.